Are medicines still effective after their expiry date? Could they potentially be dangerous? The US Food and Drug Administration (FDA) insist that taking medications past their expiry date is a risky practice; however, evidence appears to suggest this is not the case. An extreme example saw a box of prescription drugs being uncovered in the back of a retail pharmacy being with expiration dates sometimes in excess of 40 years ago. Lee Cantrell, who helps run the California Poison Control System, saw opportunity in the expired supply of medications, sending them to Roy Gerona, a chemical analysis researcher at the University of California, San Francisco, to assess the effects of 40 years of sitting on a shelf on the potency of the medication. Gerona, originally from the Philippines, commented that growing up he had seen many people taking expired medications with no ill effect. He also notes this kind of opportunity is rare, as the FDA guidelines call for prompt disposal of medication after typically one to two years. The results were surprising, and contradictory to everything currently claimed by the FDA about drug expiration. Amongst the stash of expired medication, 14 different compounds were present, these ranged from antihistamines to painkillers. Many of the medications were from brands that no longer existed. Of the 14 compounds, 12 were found to be as potent as they were upon being manufactured, nearing 100 percent of the potency on the label. These medications were in ideal storage situations: on a cool, dry shelf with no exposure to direct sunlight, therefore avoiding any environmental effects that could aid in breaking down the active compounds of the medicines. This is however the expected storage conditions in which medical supplies will be kept in both hospitals and pharmacies. This prompts the question: how many drugs are thrown away due to short expiry dates that could well remain both potent and safe for many years after this point? There are suggestions that the wastage of medical supplies and medicines contributes greatly to the overpricing of healthcare in the US, there are many examples that would suggest this to be true. Outside of Portland, Maine, a 15,000 square foot warehouse contains vast amounts of medical supplies that have simply been thrown out, some of them before their expiry dates. Amongst the shelves are unopened packages of syringes, diabetes supplies, and unused surgical implements that cost hundreds of dollars a piece. The warehouse, operated by 65-year -old former nurse Elizabeth McLellan, is part of the Partners for World Health non-profit organisation. The warehouse collects disposed medical items and medication from nearby hospitals and pharmacies to ship them out to countries such as Syria and Uganda. These places can make use of the items regardless of the expiry dates. In the US however, hospitals would not legally be able to use even sealed, single use items past the expiry date. “This is one of the reasons why your health insurance is so expensive.” says McLellan. In 2012, the National Academy of Medicine estimated that the U.S. health care system discarded $765 billion in wasted medicines and medical items a year. This is roughly equivalent to a quarter of all US medical expenditure. This level of annual waste, says the report, could have paid both the employee and employer contributions to health insurance coverage for 150 million American workers. In nursing homes across the country, a large volume of medications are disposed of regularly. Reasons for the disposal include the death of a resident, a prescription that is no longer needed, or the expiration date of the medicine. Some methods of disposal involve the flushing of drugs down the toilet, a method highly criticised by state environmental regulators, as it runs the risk of contaminating water supplies. Alternatively, some nursing homes pay to have the medicines incinerated. Iowa is currently the only state that takes advantage of the discarded medicines. In Des Moines, employees of a non-profit organisation collect bins of unexpired prescription drugs tossed out by nursing homes. 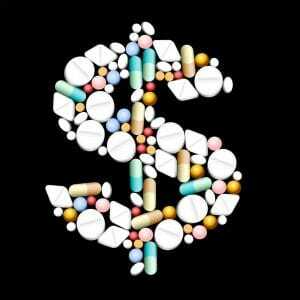 The drugs are given to patients who couldn’t otherwise afford them. A poll by the Kaiser Family Foundation saw cross party support for reducing the healthcare cost to the individual as well as lowering the cost of prescription drugs. A method of achieving the goal of lowering costs may be the reduction of waste in the healthcare system. Despite the evidence and the striking losses, the FDA does not seem to be working on this issue. Currently the FDA does have a webpage dedicated to the matter, though it does not at any point acknowledge the studies suggesting many medications last longer. It is true that many drugs will have valid expiry dates — notably anything that requires refrigeration, as the active compound of the medication may rapidly break down. There are many medications that may only last a few months, potentially even less time than this. However, not acknowledging the fact that many medications are composed of stable, long lasting molecules such as those in the study of the 40 year old medications, is to allow a wasteful — and expensive — practice to carry on. A major hurdle to finding which drugs last longer than the FDA expiry date is the lack of an economic incentive to the creators of the medicines. To further investigate the breakdown rates of the drugs past the FDA approved expiry dates would require time and financial investment from the drug company. Should analysis show that the shelf life of the drug is far longer, hospitals and pharmacies would no longer have to dispose of the product and restock continuously. This would mean lower purchase rates and therefore a dropoff in profits, further disincentivising the drug companies from updating the expiry date. The FDA is well aware of the longer shelf lives of many medications: expiration dates have been revised in the past, notably when the government itself is stockpiling vast amounts of medications. The Shelf Life Extension Program deals exclusively with federally stockpiled medication, such as the Strategic Medical Stockpile (SMS), and reassesses the shelf lives after batch testing of the stockpiled products. Marc Young, a pharmacist who was involved with the Shelf Life Extension Program between 2006 to 2009, claims it to have had a “ridiculous” return on investment. The programme has saved the federal government $600 million to $800 million due to the ability to extend the shelf life of a number of medications, allowing them to avoid restocking. The FDA however has not expanded this extension programme to the commercial market. Their website does not address the matter, and adheres firmly to the policy that medications past their expiry date are dangerous. There appears to be no indication from the FDA that this policy will change. Propublica emailed the FDA asking if the extension programme could be applied to hospitals, in which stockpiles of medication could be stored safely in a similar manner to the SMS. The reply was dismissive, “The Agency does not have a position on the concept you have proposed”. The application of the extension programme in a commercial setting could make the US healthcare system considerably more affordable. It represents a cut down on medical waste that could save hospitals and care homes significant sums of money. Medical products that are usable are being wasted, as is money currently used to restock that could be better spent elsewhere. Ajaz Hussain, former FDA scientist, believes that this change may only occur if the FDA paves the way. Their current dismissal of the idea indicates this may be an out of reach concept for now.